Mr. Al Franklin Smith, age 84, of 1801 Martin Luther King Jr. Blvd., Raleigh, departed this life on Monday, April 8, 2019. 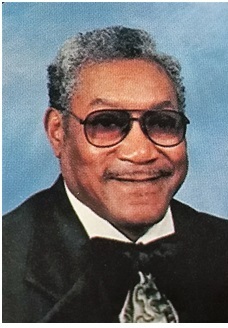 Funeral, 12 Noon, Saturday, April 13, 2019, Poplar Springs Christian Church, 6115 Old Stage Road, Raleigh. The Rev. Charles W. Brooks, Pastor, Officiating. Visitation, 11:30 AM to 12 Noon, prior to the service. Interment, Church Cemetery. Survivors; wife, Mae Helen Rogers Smith; son, Carlton L. Smith of Durham; stepchildren, Carl Clark (Annette) of Raleigh, Linda King (Jerry) of Newton Grove, Priscilla Clark Mangold (Mike) of Angier, Brenda Jones of Raleigh, Ernestine Clark of Garner, Jocelin Ockletree (Melvin) of Clayton and Ernest Clark of the home; sister, Rosa Powell and her husband of New Jersey; and a host of grandchildren, great grandchildren, other relatives and friends. Public viewing, 12 Noon to 8 PM, Friday, April 12, 2019, at the funeral home.